You Cannot Ignore Your Role in The Automotive Technology Education System. Go inside the Vision 2018 Studio with the Educators Think Tank. 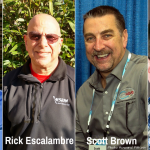 Join Rick Escalambre, Retired Instructor Skyline College, and educator of the year 2017, Scott Brown from Diagnostic Network, Matthew Shanahan Assistant Professor, Automotive Technology, College of DuPage and Tim Dwyer, from Consul Labs. This is a great slice of what automotive education is today. A very open and transparent discussion that will help you understand the education process and gain knowledge of how to get involved. Also, learn about the challenges that post-secondary automotive technology programs have and how you can and must get involved. A few key talking points: Automotive technology programs at all levels is expensive, independents must attend career fairs and speak to classes at all levels including middle school and Industry and education needs to come together stronger than ever. The industry has a depth of talent that can help the education system. 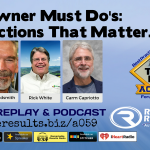 Listen and learn from Rena Rennebohm, service advisor coach and the Chief Training Officer of ACT Group, Keith Williamson, president of Williamson’s Repair and Tire in Bondurant, IA and service advisor Lauren Giver, from Los Gatos Auto Service in Campbell, CA. Listening to just one side of a customer call does not do justice in improving and training your service advisor. Service advisers need quality training, no different than technicians and business owners and the recorded phone call is an important element to that training. Save good calls and go over what a good call sounds like. If your shop does not record calls, then get your shop secret shopped. You’ll be convinced. Find one phone call that works play it over and share it with your team; you will grow your business. Recorded calls and coaching helps to convert and opens the learning to be a better communicator. A great outcome of recorded calls is the opportunity to make changes to your policies. You’ll discover what works and what doesn’t. 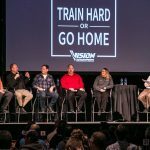 The Trip To Vision KC 2018 was 9,000 Miles. One Way. There’s nothing too hard if you are determined to work hard enough. Do not underestimate your talent; you may never know where it will take you. 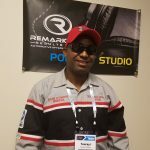 Words from Taurayi Raymond Sewera. He is a shop owner from Zimbabwe, Africa. Taurayi is the only ASE certified technician in Africa and is building a new 20 bay shop he says will be opened by August 2018. He employs 12 technicians and will fix anything with an engine from a lawnmower to a giant earth moving excavator. He is committed to training and has made the trip to Vision KC two times. He’s befriended many technicians in the US and takes ASE tests on every visit to the US. Learn about his story, the Zimbabwe economy and the most popular car he works on. You’ll be surprised. 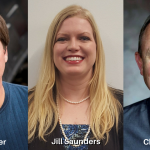 Joining me in studio at Vision 2018 is Donny Seyfer Executive Officer of NASTF, Chris Chesney, Sr. Director of Customer Training at Car Quest Technical Institute and Jill Saunders, Curriculum Developer at Toyota Motor Sales, North America. Shop Owners Must Do’s: Daily Actions that Matter: Why Routine Matters. We had a very deep discussion on critical daily actions that will keep your business compliant and running smoothly. You’ll walk away with a strong sense of discipline in building a daily task list that you stick with. Without proper planning and a strong checklist, that you are accountable for (or that you delegate), too many slips through the cracks and eventually crashes into your well-intentioned routine. Bambi Crozier wife and co-owner with Neil Crozier, of Car Clinic in Lowell, AR, Mark Goldsmith Mark’s Independent Service in Chatsworth, CA and Rick White Rick is President and Lead Coach for 180BIZ bring their great insights on the importance of planning to be a strong business leader and watchdog. 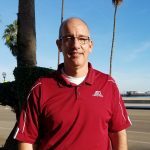 Scott Pelava a fellow shop owner from Lonsdale, MN has had an interesting road to success; sometimes rocky. Many shop owners can relate to tough times. Scott had the ‘grass was greener syndrome’ that happens to may shop owners and he faced some hard realities that running a business was different than being a tech. Scott shares a very personal story of almost losing everything because of a plethora of circumstances he faced. Through his story, gain insights to help you prevent financial challenges that can overwhelm your life and business. 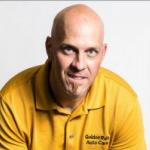 Pelava also wanted to share ideas and learn from his industry peers so he started a Facebook group called Automotive Shop Owners Group (ASOG). Without Customers You Have No Business. One of the most important jobs of a service professional CEO is to be a marketer; to make the phone ring. 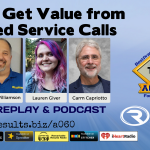 In this episode Ron Ipach, co-founder and President of Repair Shop Coach will share with you a very simple tactic that he says could double the number of visits from your customer. Ron is known as ‘Captain Car Count’ and he received that moniker from one of his customers many years ago and it stuck. Ron has some very simple strategies on how to create business from the customers you’ve already served. You’ll hear some very profound stats on the number of messages we are bombarded by each day and how you can get through the clutter of emails, texts, ads, social media and ‘market’ to your customer. Ron’s got a simple message to share. “Pay more attention to the people you’ve done business with in the last year.” Get them to move to a more experience relationship with you than a transactional. Invite them back in the shop. The Shop of the Future: Are You Prepared? Have you thought about how you will do business in the future? Well the mission of this panel was to stretch the boundaries and serve up plenty of thoughts, concepts and changes coming that you need to be fundamentally be prepared for. So happy to be able to present this audio recording from Vision 2018. With me are shop owners, Summer Gurerro from Affinity Automotive Services, Inc in Wichita, KS, Keith Williamson owner of Williamson’s Repair and Tire in Bondurant, IA, Trainer and Mobile Technician Eric Ziegler form EZ Diagnostics, Chris Chesney the Senior Director, Customer Training at the Carquest Technical Institute and Donny Seyfer the Executive Officer of NASTF, the National Automotive Service Task Force and co-owner of Seyfer Automotive in Wheatridge, CO. Many great thoughts that will help shape your future. There are many important action steps discussed that need your support and engagement. Listen carefully for those cues. Why Don’t Shop Owners Bring the Same Level Of Curiosity They Had As Techs To the Business Side Of The Business? 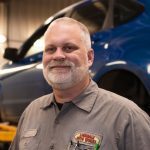 Mike Bennett from Mike’s Kars in Gettysburg, PA is a full-time business coach for ATI. His personal light bulb moment was when he realized he needed more training on business and leadership. That training changed his business. As Mike prospered he realized that he wanted to share his success by coaching other shop owners. Mike say the best employees are empowered and understand their role and that great leaders show their people how to succeed. 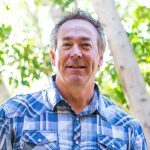 Learn what Mike believes is the most important part of building a great business and what happens when you gain control of your business. THA 057: Your Profit & Loss Statement. Learn it. Love it. No question that knowing the value of your Profit and Loss Statement helps you grow a strong, viable and profitable company. Many shop owners have not gotten intimate enough with the value of their financial statements. 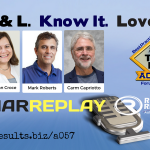 The episode with Maryann Croce from Croce Transmissions in Norwalk, CT, Mark Roberts from Schertz Auto Service in Schertz, TX and Bob Greenwood, AMAM, president of Automotive Aftermarket e-Learning Center show the power of an accurate P & L.
We also talk about the Balance Sheet and the extreme value in accurate finical statements if you are going to sell your business or buy one. Also discussed is where on the P & L is it indicated that you can afford raises and that your emotions will try to override the numbers, because they tell the real story. Chris Cloutier and I had a great conversation, passionate at times, on entrepreneurialism. Chris is a serial entrepreneur and has some wise words and experience at it. We talk bootstrapping, cash is king, the struggle, trusting your gut, leadership and even salesmanship. Don’t shy away from these topics – the discussion just may set you off on a better course. Chris has the scars, like all of us, which are the lessons we all learn as we march toward an improving and brighter future. Our future is all about incubating young people into our industry at every level from manufacturing, distribution to the service professional. 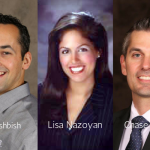 Listen to three aftermarket professionals from the Auto Care Associations dynamic and vibrant under-40 set that finds its home with the Young Auto Care Network Group (YANG). YANG provides young auto care professionals in their twenties and thirties the opportunity to network with industry peers, enhance knowledge and improve leadership capabilities. 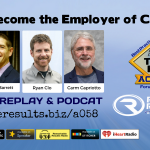 Joining Carm in this interview are Lisa Nazoyan, Mahle Aftermarket Inc., Farmington Hills, MI, JC Washbish, Director of Marketing, Automotive Aftermarket Auto Parts Alliance, San Antonio, TX and the Vice Chairman of YANG and Chase Baxley, Vice President of Product & Supply Chain, The Parts House, Jacksonville, FL who has also helped create YANG from the beginning.